Here’s the situation. It’s the New Year and despite your best efforts, you haven’t managed to stop your 10pm binges on the leftovers in the fridge (CB’s mum’s cheese box, which is something which should exist in every household, was our downfall). You keep seeing all this ‘New Year, New Me’ paraphernalia; part of you is on board and part of you just wants a turkey sandwich. Put the cheese cracker down and give this pancake recipe a go. While its not the healthiest (the double cream is not negotiable), it’s certainly better than pigs in blankets dipped in onion chutney (is that just me?). 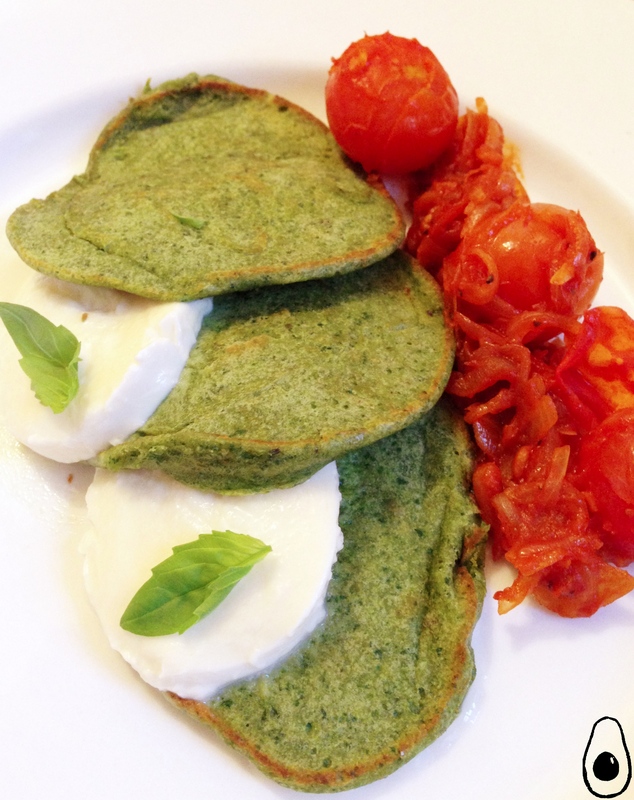 This recipe features one of my favourite flavour profiles – tomato, basil and mozzarella. The original recipe, which we picked up from Allegra McEvedy’s Around the World in 120 Recipes, calls for buffalo mozzarella but in the spirit of spend-thriftiness, we used a very basic, very cheep type and it was perfect. The ragu has a couple of big flavours but don’t forget to season thoroughly along the way. 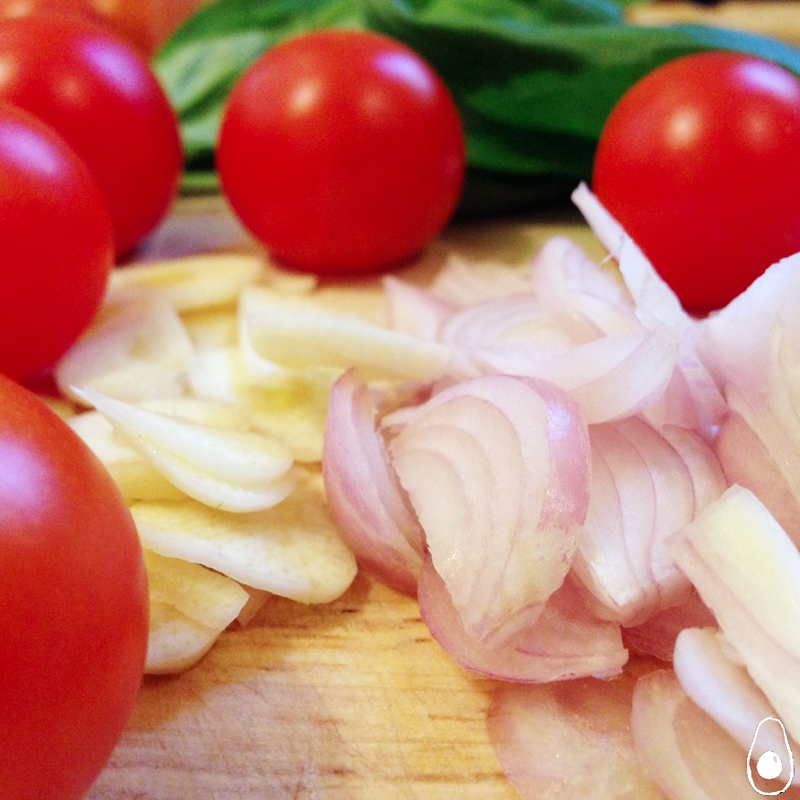 Fresh tomatoes are delicious but tend to be tart if they aren’t cooked thoroughly. If in doubt, add a small pinch of sugar and a dash of water to the ragu and keep cooking until it reaches your optimum flavour. The first time we made this, we split an entire 125g ball of mozzarella between the two of us. Upon reflection, we agreed that a more restrained approach (half of this amount, say), would have been perfectly acceptable. I’ll try and remember this next time we make the dish. I will leave it to your discretion. Serve with the fanciest breakfast juice you can afford (perhaps mixed with a glass of prosecco? Oh, behave!) . Melt the spread in a small, heavy bottomed saucepan and gently fry the shallots and garlic for 10 minutes, until soft. 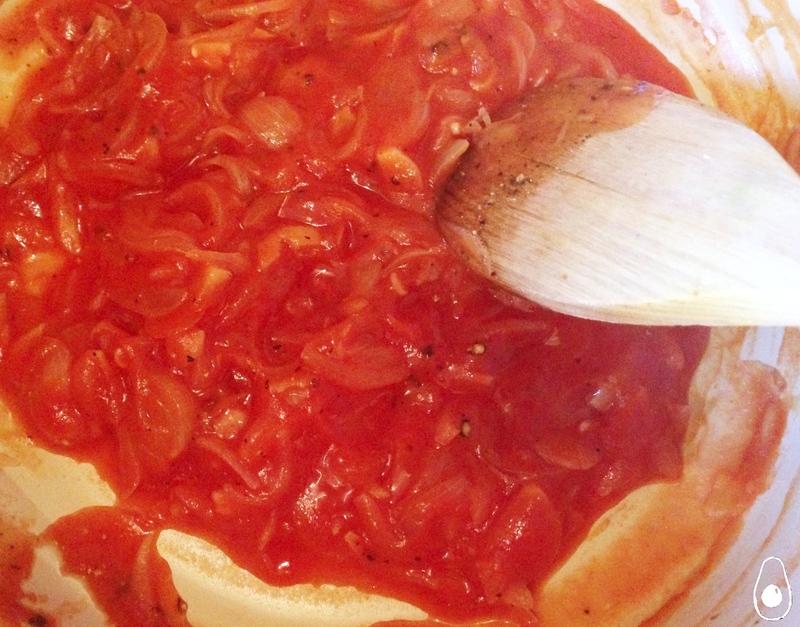 Add the passata and simmer for 12-15 minutes, making sure you season well and add a drop of water if it gets too dry. Add the cherry tomatoes whole, and cook until the skins split, about 5 minutes. Don’t let them turn to mush. Turn off the heat, add the balsamic vinegar and taste, adjusting the seasoning to taste. Tear the brioche and fold into the cream, gradually stirring in the beaten egg. 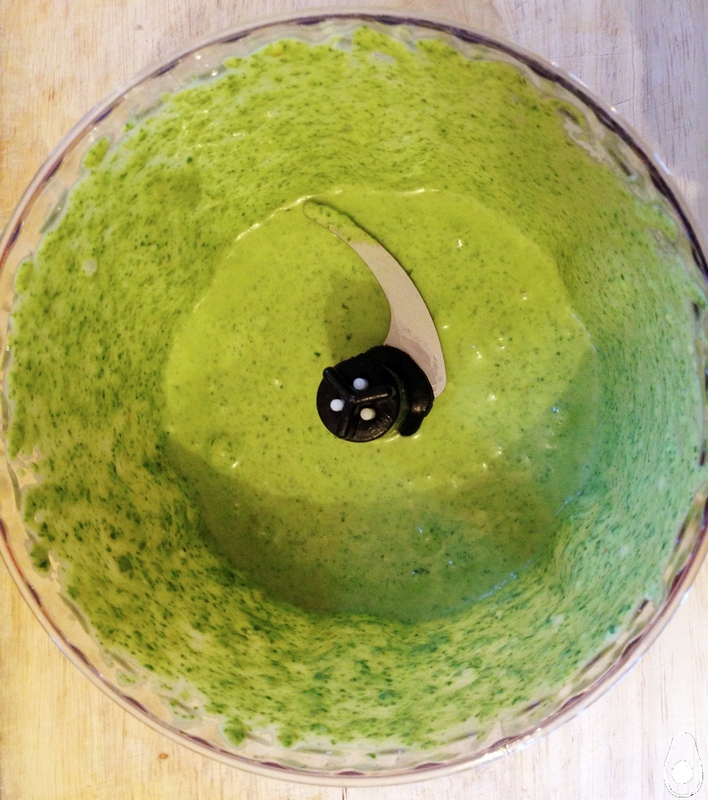 Add this to a blender with the basil and spinach and blitz until smooth. Empty this into a bowl and sieve in the flour – season well. Melt half the spread with a splash of oil in a pan at a medium heat. When sizzling, dollop several generous tablespoons of the batter in the pan – hopefully you’ll fit 3-4. Fry for 1-2 minutes on the first side and a further 1 minute or so on the other. It should still be just undercooked in the middle, for an interesting texture. Repeat for second batch. 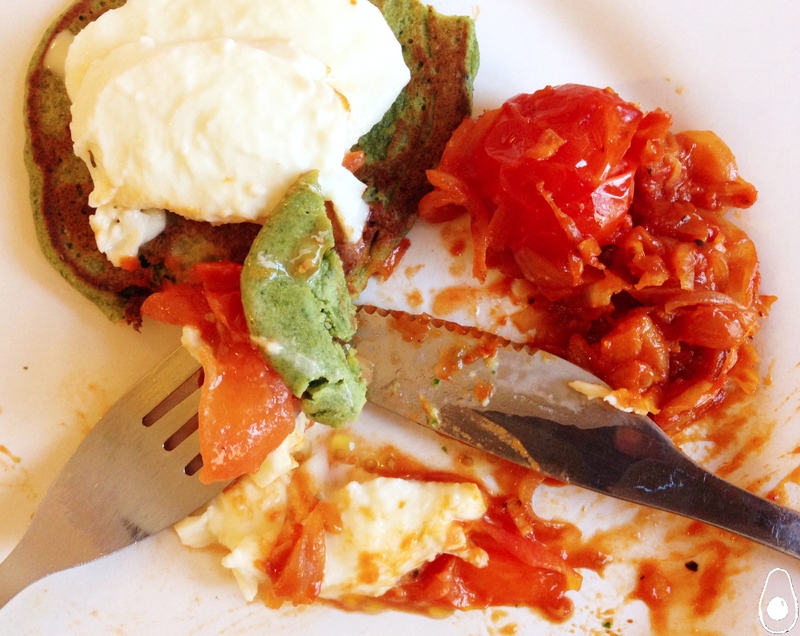 Serve the pancakes with the ragu and some sliced mozzarella. Prev It’s a MadAvocado Christmas! The cheese box – a site where many of my sins are committed. Loving the look of this healthy pancake.